The drinks are good, but overpriced. But, the view from Sky Bar in the Lubua State Tower is amazing.64 stories up, Sky Bar takes your breath away. 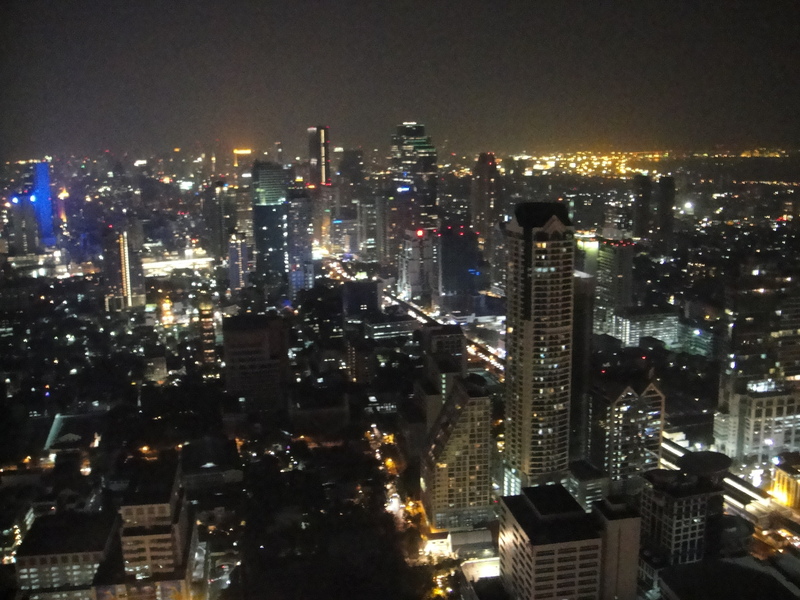 This entry was posted in Landmark, Sightseeing, Thailand and tagged Bangkok, lubua state tower, sightseeing, sky bar, Skyscrapers, Thailand. Bookmark the permalink.